Want to try great apps without hurting your wallet? 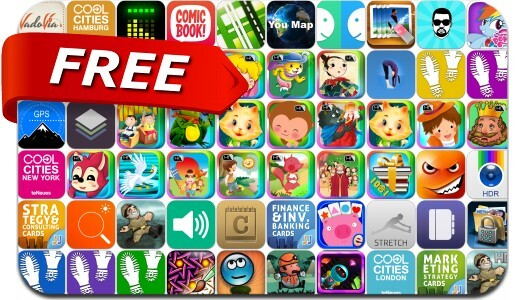 We’ve selected 60 iPhone, iPad and iPod touch apps that are now free. This apps gone free alert includes OLO game, Stackables, ComicBook!, Face Bomb!, Lumen Trails Food Diary+, Jobjuice apps, , i.Map Elite, Magnifier Flash, System Monitor, iOrnament, Fotor HDR, iPrivate Guard Pro, Shapes Memory Match and many others.